Schweitzer Consulting is proud to welcome Susannah Sullivan as our Assistant Account Executive. She will be with us full time during the summers and part time while she finishes school at Wheaton College (IL). Susannah was born and raised in Honolulu, Hawaii. She graduated from Punahou School in May 2011, and is currently a full-time student at Wheaton College, a private, academically rigorous Christian liberal arts college. At Wheaton, she is pursuing a major in Communications and minor in Mandarin Chinese. Susannah's interest in Communications is the result of a plethora of personal experiences. People, relationships, and the business world are three dominant factors that synergistically culminate in her passion for public relations and marketing. Leadership positions that have guided her training thus far include being the elected Punahou School's Student Council Vice-President for four consecutive years, being appointed as a Fellow for the state of Hawaii's Center for Tomorrow's Leaders (CTL), being a member at Hugh O'Brian Youth Leadership (HOBY), and partaking in Punahou School's first global summit, the Student Global Leadership Institute (SGLI). As far as giving back to the community, Susannah lives by the advice, "to whom much is given, much is expected." This has materialized in a variety of settings. 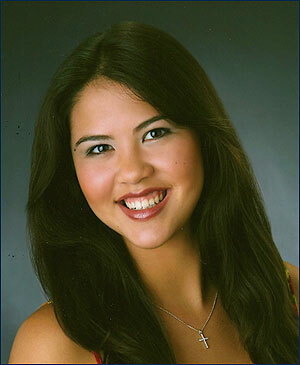 She was the Overall Student Co-Chair for Punahou School's 2010 Carnival, which is an annual multi-million dollar project for Punahou's financial aid program. She is also currently a YoungLife leader and former volunteer at the Hawaiian Humane Society. Susannah is enthusiastic to be the Assistant Account Executive at Schweitzer Consulting, LLC. She hopes to both grow her skills in this field, and serve you to the maximum extent possible.